Scumbag Ryan Taylor, 29, left the girl in tears after he also branded her a “n*****” . This is the vile racist who called a 12-year-old-girl a “black rat” as she shopped with her pals. Scumbag Ryan Taylor, 29, left the girl in tears after he also branded her a “n*****” as she enjoyed a day out with pals. He appeared at Paisley Sheriff Court over the shocking incident and admitted his guilt. 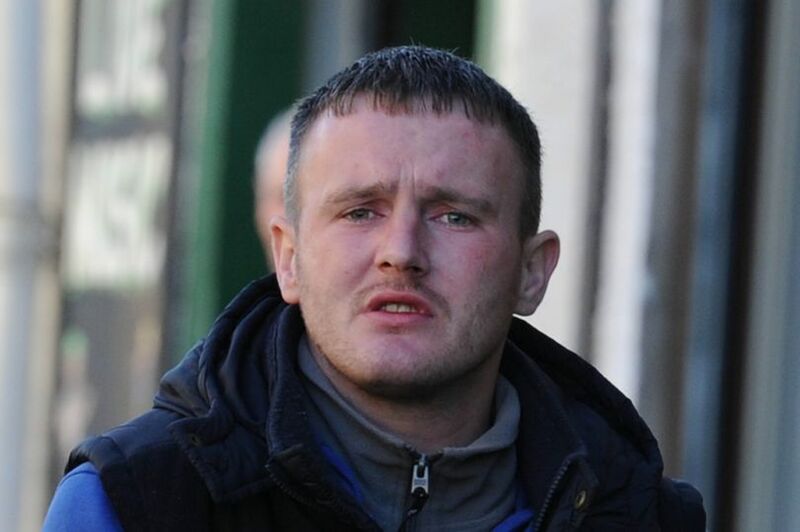 Taylor, of Abercorn Street, Paisley, was once again in the dock and was told he would be sentenced next month. The court had previously heard the sick lout targeted the girl with twisted slurs, leaving her terrified. Prosecutor Carol Cameron previously told how the bully ganged up on the girl, leaving her shaking with fear. She said: “The witnesses in this case were 12 years old. “They missed school to come to court. “They were in Paisley town centre on a Monday evening. They were walking around, looking into shops and talking among themselves. “When they were on the High Street, they were met by the accused and females, in whose company he was, and another group of females. “There was an exchange between a female in Taylor’s company, and the girls. “Taylor said to the complainer the words, ‘black rat’ and ‘n*****’. “Those in his company laughed. Taylor will return to Paisley Sheriff Court on March 22 for a drug testing and treatment order hearing, when he will be sentenced over the outburst.